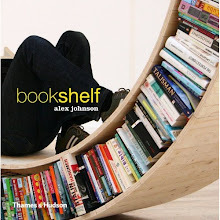 An expanding bookcase that grows with your book collection. 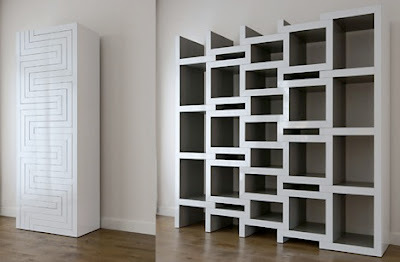 All these beautiful bookcases, and all so far out of my reach. At least with this one, there's a similar product at Crate and Barrel--the Puzzle Bookcase.